Tree covered backroads will lead you to Michigan’s Horse Country, a town called Metamora. Stunning equestrian estates are nestled between the tranquil landscape of rolling hills. Metamora is truly a place to escape from the fast-paced city life and enjoy life’s simple pleasures. 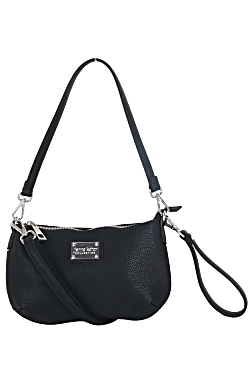 The Metamora Handbag is timeless with classic style that can be worn effortlessly every day.